It is nearly time for the BOM , it's a little early as I am off on vacation and I have so much to do before we go. Cut a piece of background fabric 3 3/4” x 4 1/2”, and add it to the side of panel (see photo) then add this to top of month 6. 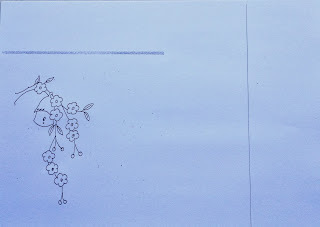 I nearly forgot the little stitchery design, I have left the picture like this to show the scale on A4 paper. There will be only two more blocks and we will then be finished, next months might be a little late as its due just after our vacation. I am not sure how much time there will be for blogging while we are away, I do intend to do some sewing though. 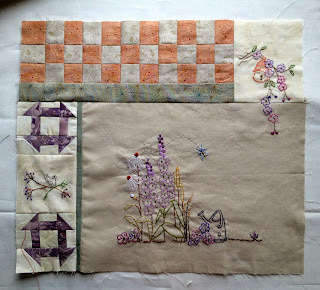 I am taking my 1/2" hexes to do, they don't take up much room, and also my new appliqué BOM. 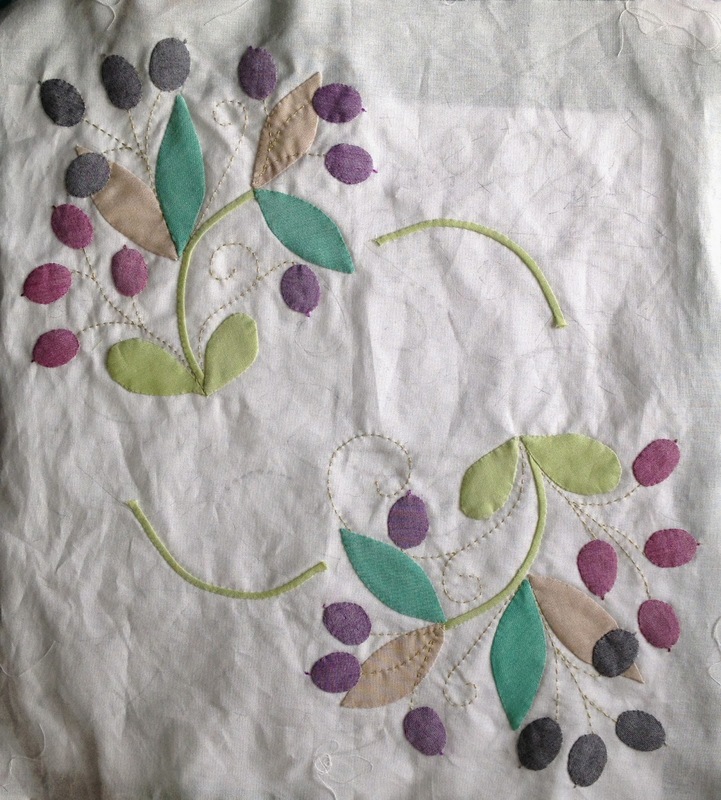 I did bite the bullet and cut that beautiful fabric and here is a little look at how I am getting on. Two more quadrants to do. I am quite pleased with how it's going. Have fun stitching Block 7. I did colour in the roof of the little bird house, with Crayola crayons. Ohhh Dorothy that applique BOM looks fabulous!! 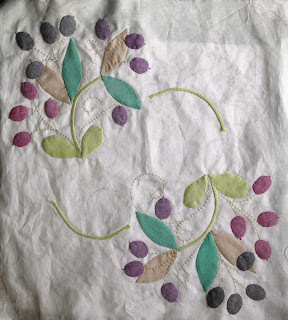 How are you getting on with appliqueing the Oakshott fabrics?? 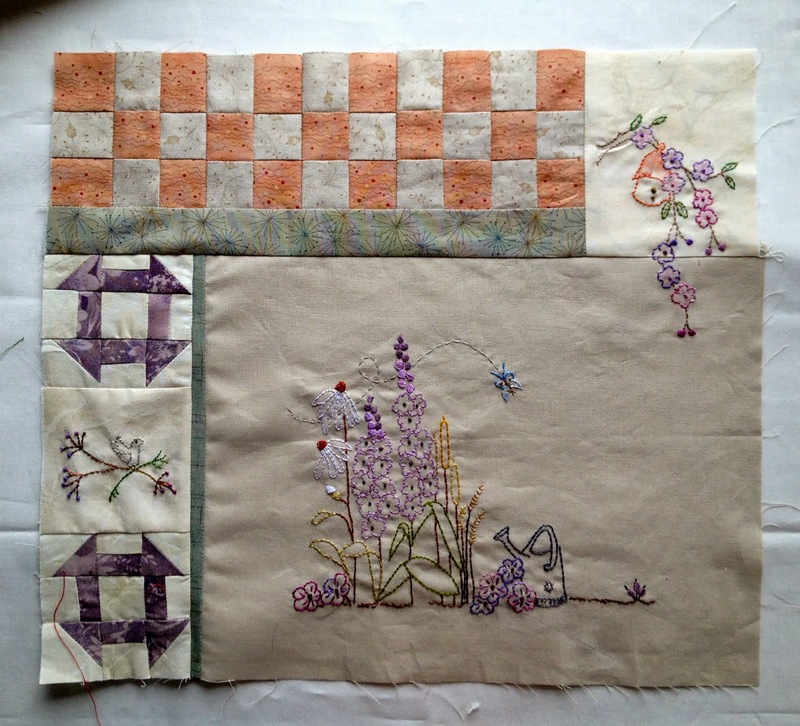 I used some of their Ruby Reds for a table runner, and although it was beautiful to sew with it frayed terribly - I had to sew and quilt it really quickly!! Thank you Nicola, on the small pieces no fraying at all,pieces are cut across the grain, on the background fabric cut on the grain it did fray. 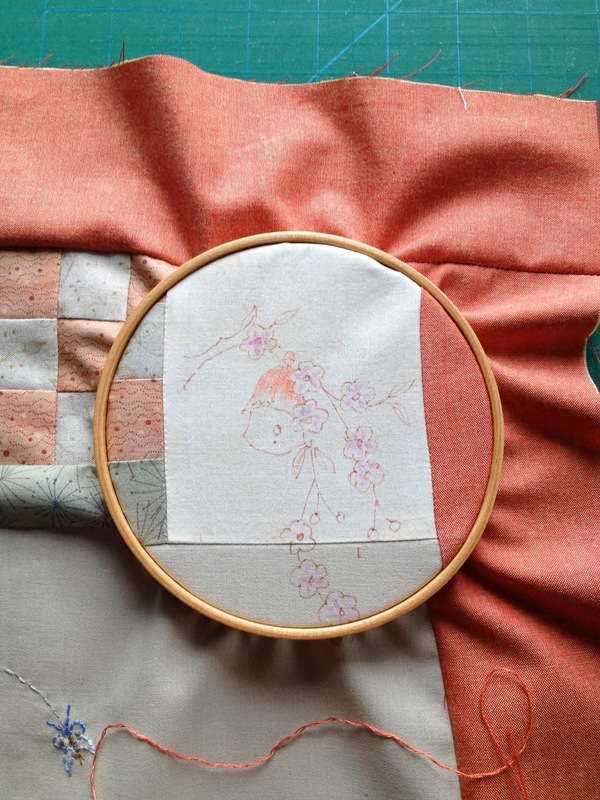 Next time I intend to stitch around the block before I start.. Doti..